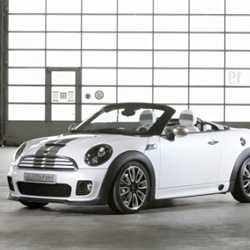 Totally nutty crazed bikini video announcing the MINI. Two Untamed. MINI Coupé Concept. MINI Roadster Concept. ~ the new secret will be unveiled today in Frankfurt! So so cute.